We are lucky to be able to be very selective in our web design projects. We prefer to work with individuals and nonprofits to build attractive, low-cost sites that, when feasible, can be maintained afterwards by the client. We follow the latest Web standards and can incorporate social media and blogging capabilities into a site. Designs can use popular “blogging” engines, such as WordPress, so that a client can have the freedom to do their own updates without requiring additional paid services or extensive web design skills. However, we also offer updating and maintenance services after the design is launched for those who need it. There are many providers of commercial web design that take on small business sites, but that is no longer our focus. Ken’s experience as a manager in Web Services at NJIT during the massive migration of hundreds of thousands of pages into a content management system, gave him a deep appreciation for simplicity and organization with a vision to future growth. At NJIT, he also helped create a number of academic websites for projects such as an eLearning Orientation site for students (2004) and the Design Advisor (2007) site for the NJ School of Architecture. Some clients have websites that have been ignored and need updating both in design and content. For the photographer Ellen Denuto, we redesigned her web content for two sites – one acting as a portfolio, the other allowing the commercial sale of her work. With Ken having a foot in the poetry world, we have worked with several poets to create their websites to showcase their books, readings and workshops. Catherine Doty is a poet, teacher, artist and cartoonist and her work-in-progress website has a design that will allow for her to expand her initial content easily. 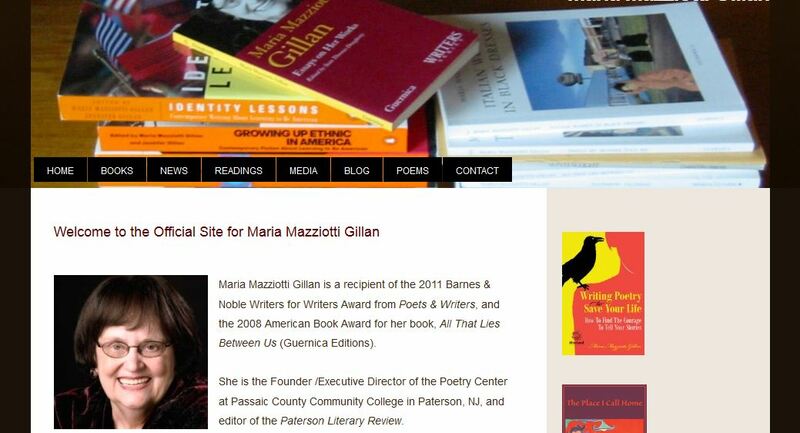 For the poet Maria Mazziotti Gillan‘s official website, we used a customized design and commercially-hosted site. She also wanted a complementary blog that was designed with a similar theme using Google’s Blogger with free hosting. This was a hybrid project. The website, as requested, is more traditional and maintained by a webmaster, while the blog is maintained by several people, some with limited web experience, who contribute updates and posts. One of the our non-profit web projects was the site built for the New Jersey College English Association (NJCEA). Our initial design was hosted on Amazon Web Services. and was a more “traditional” site built in HTML5 and CSS which was maintained by Ken. The current version is not maintained by Ronkowitz LLC and has been converted to a GoDaddy template site maintained by a member. For the non-profit Inner City Ensemble, a dance group for inner city youth, we created their website by customizing a WordPress template to provide them with a site that allows them to now be their own “webmaster” and has no continuing hosting or maintenance fees for the organization. 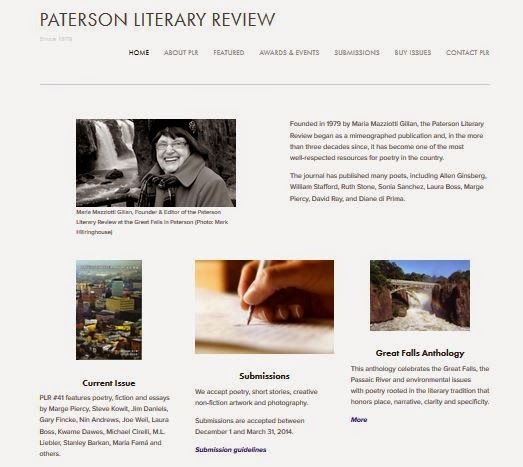 The Paterson Literary Review (PLR) is a journal of poetry, fiction and prose that has been in print since 1979, but only created its own web presence in 2013. The site was designed to allow for future archive expansion and a store offering back issues and related publications. The Paterson Literary Review is published by the Poetry Center at PCCC. The Center also wanted a new site and requested something that would complement the PLR site and yet be distinctive. I maintain both the Poetry Center and the PLR websites. A website for author and professor Jennifer Gillan was done using a selected design theme which was then customized to use the color palette, images and pages needed by the client to create a professional site for her publications and presentations. 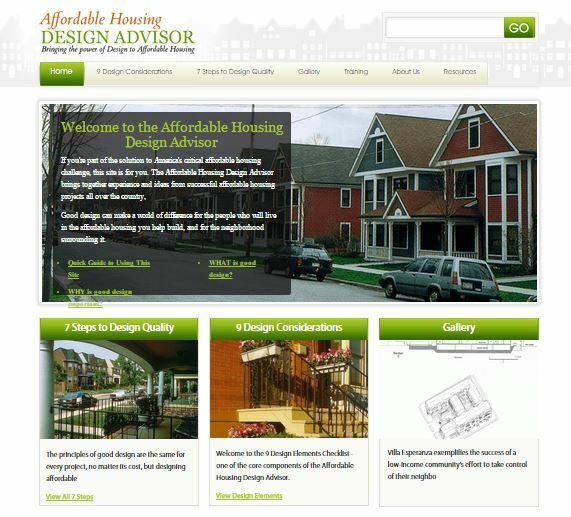 This is an example of a full-service site including hosting, a domain, web design and maintenance. Much of my interest and approach to web design comes from my personal web projects. I have owned and maintained an electronic magazine and website for poetry, Poets Online, and its accompanying blog since 1998. They have gone through many designs and hosting solutions, both paid and free. Poets Online and the Poets Online Blog use open source designs. My academic website at NJIT changes periodically and includes several completely different web designs, as I use it for demonstrations in my design courses. Some of my personal interests have found a place on the web too, including environmental issues, language and personal essays. This demo Blogger site shows clients some free designs and ways that they can be customized, and it includes a monthly web design “tip” post. If any of these styles of design strategy fits your needs, contact us.